St Peter's Church lies on the northern side of Warrington Road, opposite the small green which forms Warrington Square. The church was opened in 1931 as a low, roughcast building which was essentially little more than an elongated hall (seen on the far left here and in more detail in the next photo). A new red brick chancel, with Lady chapel and vestries, was erected at the eastern end of the original building in 1958, complete with open bell cote and a single bell. To complete the rebuilding, the old roughcast building was altered to form the nave of the extended church. The advowson of the vicarage was held by the bishop of Chelmsford, but post-war congregations gradually faded. 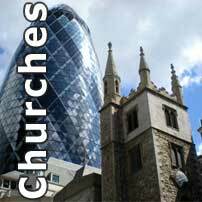 The decision was taken to close the church and declare it redundant on 13 May 1998. By 2010 the building was being operated by Forward in Faith Ministries International, a Pentecostal ministry which was founded in Zimbabwe in 1960. 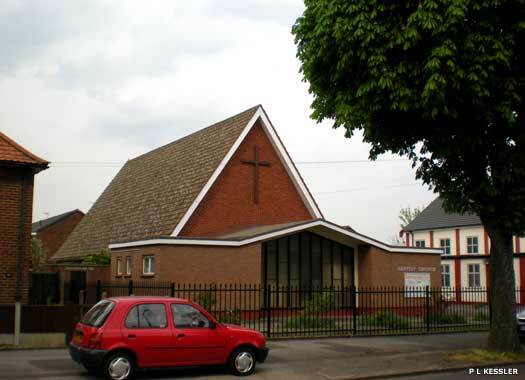 Becontree Avenue Baptist Church is on the northern side of Becontree Avenue, opposite Valence Park. George Hicks, pastor of Goodmayes Baptist Church, promoted the founding of this church in the late 1920s. It opened in 1929 when the Becontree Estate - at that time the world's largest council housing estate - was being built. A new church was erected in 1964 alongside the original church building (on the far right here) which now serves as the church hall. The Salvation Army citadel for Becontree seems to have been this building which stands on the northern side of Becontree Avenue, opposite Neville Road. The Salvation Army built two halls, in Becontree Avenue and Dagenham Avenue, both in 1928, but although neither remain in use today, the building pictured here, in Becontree Avenue, is a possible candidate for one of them. The building style would certain fit the era in which the church was constructed. Barking & Becontree Synagogue is a forbidding building behind a tall, green, steel fence on the eastern side of Becontree Avenue, opposite School Way. There was a synagogue in nearby Heath Street by 1926, but in 1939 this was closed by compulsory purchase as part of a municipal redevelopment scheme. 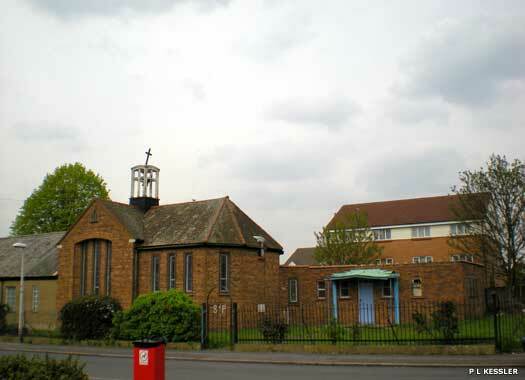 After the Second World War the congregation met in various buildings at Barking until 1949, when it amalgamated with Becontree and eventually found this site. 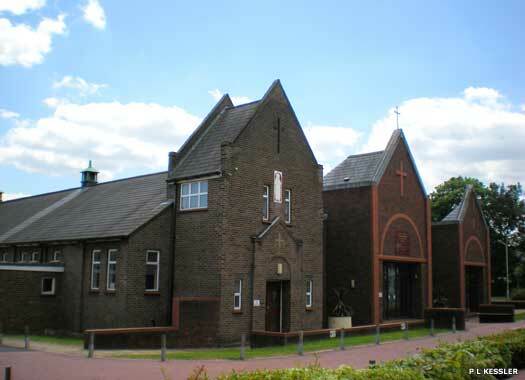 The Catholic Parish of St Thomas More occupies the eastern side of Longbridge Road, at the junction with Waterside Close. The church was built in 1935 by the Pallotine Fathers, to whom the parish had been assigned in 1934. 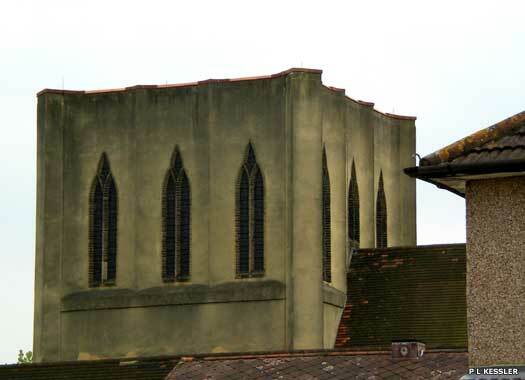 It was a small building of brown brick consisting of nave, chancel and west tower, but of the tower there was no sign in 2010, and the central and furthermost sections were new, built within the previous decade. Only the nearest section looked original. 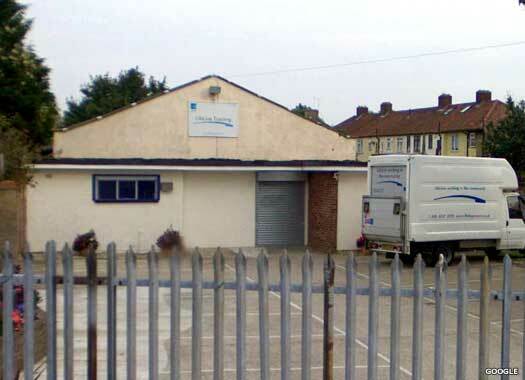 Bethel Christian Centre (London City Mission) is on the eastern side of Bennetts Castle Lane, just south of Lindisfarne Road. 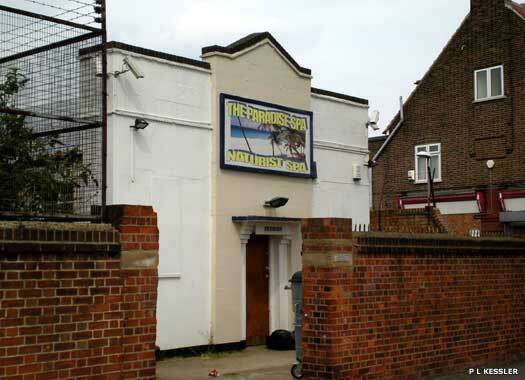 The centre began life in the old Robin Hood Pub on the lane in 1928. London City Mission sent out three missionaries to the then newly-built estate. William G Inch purchased the pub and turned it into a Christian Centre. After only six years a new building was needed, so the present one was erected in the beer garden and the pub was demolished. Becontree Wesleyan Methodist Church Hall seems to have been founded in 1927, when the Becontree Estate was still being completed. 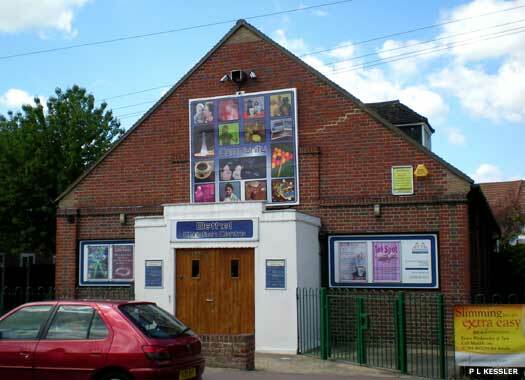 In 1954 it was renamed Becontree Methodist Central Hall. 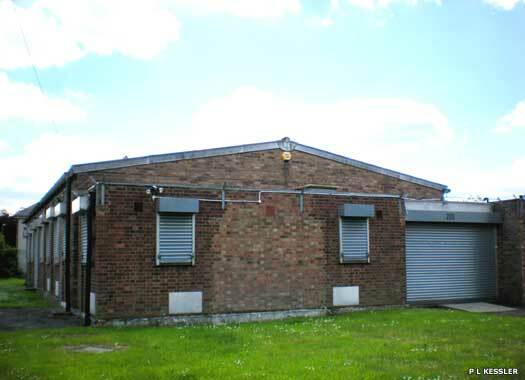 It stood on Bennetts Castle Lane, possibly on the eastern side, almost opposite the Bethel centre, but by 2009 only this building provided a likely site for the now-lost hall. The hall seems to have closed in 1965, as this is when the register of marriages ceased. St Mary's Church, Becontree, sits between terraced and semi-detached housing near the north-eastern corner of Valance Wood Road and Grafton Road, but removed from it by the more recent construction of housing (to the right of this photo). 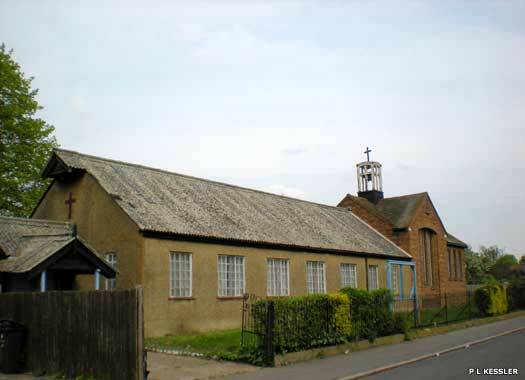 The church was opened as a temporary, mission building in 1927 to serve as the parish church for the new Becontree Estate. 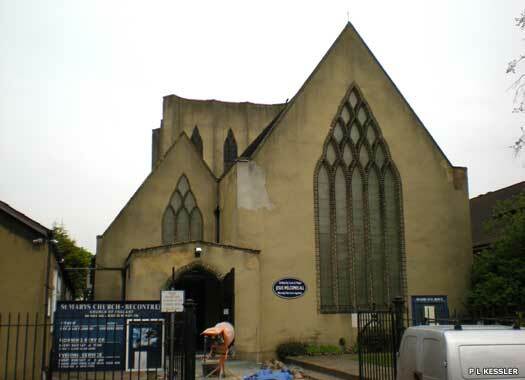 In 1935 a permanent building was erected and the endowments of Ram's Episcopal Chapel, Homerton, added. The church, designed by Welch, Cachemaille-Day and Lander, is a roughcast building with brick window-tracery. It consists of nave, north aisle, and uncompleted and very solid-looking central tower, the base of which is now used as a chancel. The advowson of the vicarage is held by the Church Pastoral Aid Society. Renovation work was being undertaken in 2010, and the church maintains a chapel of ease at Hartley Brook, Rosslyn Avenue, to its north.